I am me. And proud of it! 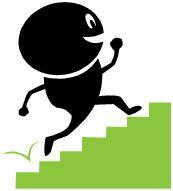 Once, Jenni Murray, talking about exercising, said that women over fifty tend not to run up the stairs. I think of that every time I run up the stairs. She has also said (can you tell I like to listen to Woman’s Hour?) that women are good at multi-tasking. I can listen to the radio and work in the kitchen at the same time, but that’s as far as it goes. If you talk to me, I’ll probably stop what I’m doing to answer you. I hasten to add, though, that I can drive and talk, and even know when something on the road needs to take precedence over talking. I’ve spent too long thinking there’s something wrong with me if I don’t conform to the stereotype. So what if I’ll never be the world’s best conversationalist? I can do things that others can’t. I can sing, and dance, and write, and run up the stairs. I can even give a prepared talk in front of an audience and enjoy it. Just as we don’t want to read about stereotypical characters, we don’t have to be those characters. We are individuals. Hurray! Although I’m not sure my son would agree with that! He must be a Grand Master!